How Do I Know I need a New Kitchen? - Kitchens By Design, Inc. Sometimes, it's all of the above. Kitchens are complicated rooms. They require a good deal of forethought. 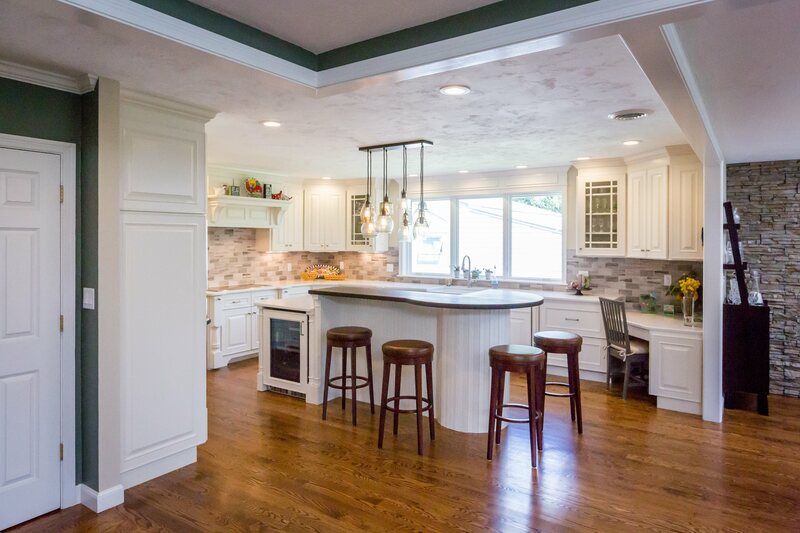 An adventure into a kitchen remodel is not for the faint of heart--but with the help of a proven and reliable professional, the kitchen of your dreams can become a reality. So when should you remodel your kitchen? When you're ready to put in the time and focused energy to make your investment worthwhile. First and foremost, have some ideas about what you want to do with the room. You don't have to design it or have all the answers, you just need to express some concrete ideas. Do you want to expand it or do you want to keep the same footprint? Remember that expanding your kitchen may result in the best design and functionality, but it will mean an increase in your kitchen budget. Don't sweat the small stuff when it comes to thinking about colors, patterns, finishes, or materials. These decisions will come later on. You want to focus on the big picture up front so you can communicate clearly with your designers and contractors. The second, and most important, consideration of whether you're ready for a kitchen remodel is thinking about your budget. Just how much does a kitchen remodel cost? I always tell my clients that if you bought a new car 4 years ago and you are looking for a new one now, you pretty much have a good idea as to how much it will cost. But when was the last time you renovated your kitchen? For most people it may be 20 to 25 years ago and for a great many more, it's never! The National Kitchen and Bath Association surveyed thousands of families who had completed their remodeling project for their kitchen. What they found nationwide was that families were off by 40% from what they thought their budget would be. Size of the room, return on investment, and use of custom or stock materials will all play a part in determining what your final budget will be. You certainly don't want to renovate the most important room in the house in a great neighborhood with a low budget and inexpensive materials if you plan on staying in it for a while. Your home is like a kid trying to get into college. There's competition everywhere. If you've come up with a plan and you've crunched your numbers, then it sounds to me like you're ready to remodel your kitchen. So who are you going to get to do it? Stay tuned for the next blog, when I talk about how you should go about finding the right people to get the work done.